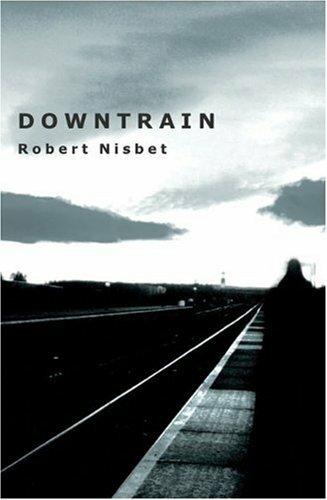 Robert Nisbet is a short-story writer, poet and creative writing tutor. He was born in 1941 in Haverfordwest, and was educated at Milford Haven Grammar School, University College of Swansea and the University of Essex. Robert taught English for 30 years in grammar and comprehensive schools and then taught creative writing at Trinity College, Carmarthen for over a decade. He is now an associate tutor in English literature with Swansea University. Writer in residence, Llangatwg School, Neath, in 1999. He now has 100 short stories published in a wide range of magazines in Europe and the United State. His work has appeared regularly in Planet, Anglo-Welsh Review, New Welsh Review, Cambrensisand Blue Tattoo, in American literary quarterlies like Webster Review and New England Review, on BBC Radio 4, and in translation in Germany and Romania. As well as enjoying a successful career in education, he has been a regular contributor to BBC radio and has edited a number of short-story anthologies. His book Sounds of the Town (Alun Books, 1982) was shortlisted for the Dylan Thomas Award in 1983. His selected short-story collection, Downtrain, was published in 2004. In 2007 he turned to poetry and has had work accepted by Poetry Wales, Planet, Borderlines, Roundyhouse, Cambria, The Seventh Quarry, Red Poets, Prole, The Interpreter’s House, Obsessed with Pipework, Orbis, Other Poetry, Poetry Cornwall, Purple Patch, Smiths Knoll, Weyfarers, 14, Cake Magazine, The Coffee House, The Red Wheelbarrow and on the websites ‘Open Mouse’, ‘Ink Sweat and Tears’, ‘London Grip’ and ‘The Camel Saloon’ (USA). A lifelong supporter of Haverfordwest Football Club, Robert is now their media officer.